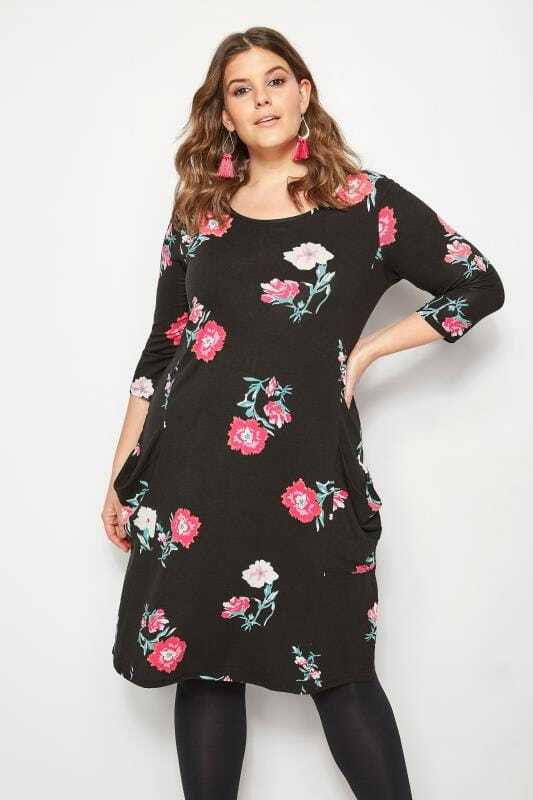 Effortlessly combining comfort and style, our range of plus size swing dresses are flauntlessly feminine and 100% flattering. This season we're loving dark colour palettes and feminine florals. From low-key casual wear to elegant evening wear, find your perfect look in sizes 16 to 36.